90. South Elgin – 37. They also surveyed DUI arrests for County Sheriff Departments. In first place was Winnebago County, with 471 DUI arrests. The biggest town in Winnebago County is Rockford. So with Rockford leading the way in local police agencies, and Winnebago County leading the way with Sheriff Department’s, I think it’s safe to say that if you have been drinking and are thinking of driving a motor vehicle, it would be wise to avoid being anywhere near Rockford. In second place among Sheriff Department’s was Lake County with 311 DUI arrests, DeKalb County, home of Northern Illinois University, was in third place with 225 DUI arrests, and Cook County was in fourth place with 221 DUI arrests. The DuPage County Sheriff’s Department was in 16th place with 88 DUI arrests. The Kane County Sheriff’s Department was in 17th place with 84 DUI arrests. Looking at the above statistics, there’s 2 towns I want to focus on. First, let’s look at Elgin in Kane County. Elgin saw a 34.7% increase in DUI arrests from 2015 to 2016. The big increase in Elgin DUI arrests pushed Elgin into 3rd place among municipal law enforcement DUI arrests in Illinois. This big increase in Elgin DUI arrests was not by chance or by mistake. Elgin had received a grant from the Illinois Department of Transportation to provide specialized DUI enforcement training for it’s police officer’s. Elgin used that money allowing it to spend more time on providing the training to its officers. In addition to Elgin moving into third place, the DUI arrest rate for each individual Elgin Police Officer was 5.17 arrests per officer. The highest such rate in Illinois among any Illinois police department with more than 200 DUI arrests. The second town I want to look at is Carol Stream in DuPage County. Even though Carol Stream was in fifth place with 305 DUI arrests, they had a 34.3% decrease in the number of DUI arrests from 2015 to 2016. Carol Stream is always near the top of municipalities for DUI arrests every year. More than half of Carol Stream police officers have advanced DUI training. I can’t find any reason for the drop in Carol Stream DUI arrests other than for the Police Commander telling the Daily Herald that officers had been reassigned to other tasks in 2016. It will be interesting to see what happens with Elgin and Carol Stream DUI arrests in 2017. James Dimeas is a nationally-recognized, award-winning, DUI Lawyer, James Dimeas, has been handling DUI cases throughout Chicago, Cook County, DuPage County, Lake County, and Kane County for over 25 years. DUI Attorney, James Dimeas, has been named a “Best DUI Attorney” and a “Best Criminal Defense Lawyer in Chicago” by Expertise. The National Trial Lawyers have named James Dimeas a “Top 100 Criminal Defense Trial Lawyer.” The American Institute of Criminal Law Attorneys have named James Dimeas a “10 Best Attorney for Client Satisfaction.” The American Society of Legal Advocates have named James Dimeas a “2018 Top 100 Lawyer.” AVVO rates James Dimeas as “Superb”, the highest rating possible for any lawyer in the United States. If you are facing DUI charges in Chicago, Cook County, DuPage County, Kane County, or Lake County, you can always contact James Dimeas for a free and confidential consultation. You can always talk to James Dimeas directly by calling him at 847-807-7405. The Alliance Against Intoxicated Motorists AAIM DUI Survey, 2017. Elgin Tops DUI Arrest Increase Across State, Elena Ferrarin, The Daily Herald, June 27, 2017. 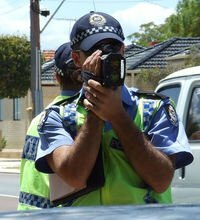 Arlington Heights Police Announce “Specialized Traffic Enforcement Campaign” for 4th of July Weekend, James G. Dimeas, Chicago Criminal Lawyer Blog, June 27, 2017. What Happens if I Refuse to Take a Breathalyzer Test in Illinois, James G. Dimeas, Chicago Criminal Lawyer Blog, May 16, 2017.